This is just to let you all know that there is a new shop called Beryl Petzer Dance Company that has just opened in Port Elizabeth. This is another great option if you can’t get to the other sources. They supply all dance attire at the best prices in town. This includes tap, ballet, ballroom, hip hop and modern. They are at 100 Main Road Walmer and are open Monday to Friday from 09H00 to 16H00 and Saturdays from 09H00 to 12H00. 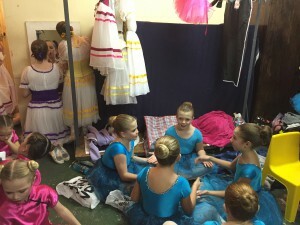 Ballet Exam Results – Finally! We are once again really proud of all our ballet pupils who all obtained either Merits or Distinctions for their RAD exams in May. All the hard work certainly paid off. This is a list of all the Distinctions. The highest mark of 88 % was awarded to Caitlyn Burton for Grade 4. This entry was posted in Studio Happenings on July 13, 2015 by admin. We have just had a hectic weekend with both our RAD Character Work Course, which was run by Rene Callis and our annual youth ballet. The course went into greater depth on what teachers need to know when teaching the RAD National Syllabus, and we all felt we learn’t a lot over these last few days. 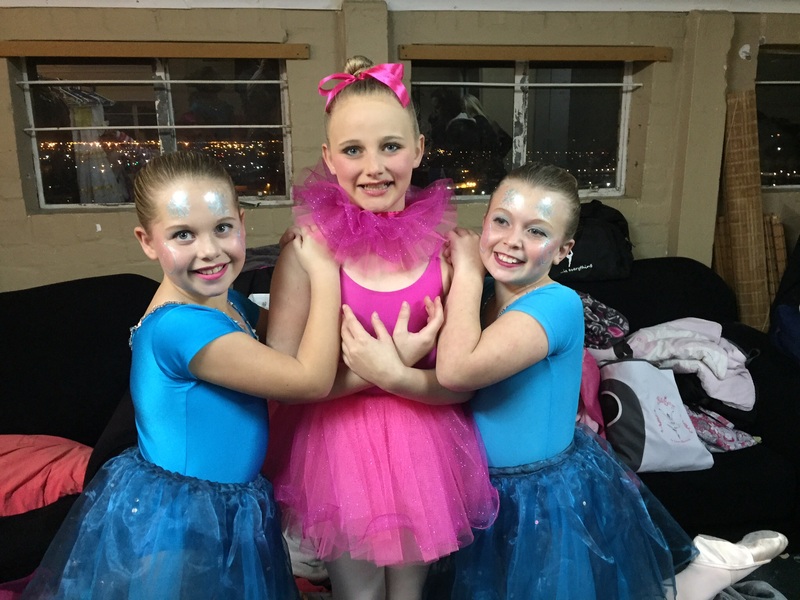 We would also like to congratulate Isabella Morrison, Ashleigh Maling Nel and Casey McLean for dancing so well and making us proud at all four performances of the Friendly City Youth Ballet on Saturday and Sunday. Well done and welcome to Jessica Barnard who is a new addition to our studio. 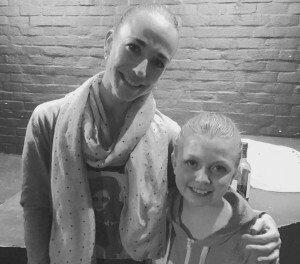 Thank you to the Moms who helped behind the scenes and from our studio Gillian Morrison who was an absolute star. The girls were kept busy with rehearsals for a lot of the holidays, and then from Thursday last week when Cape Town City Ballet and producer Robin van Wyk arrived, they had to be at the Savoy Theatre almost full time. I took a picture of them keeping themselves well entertained during the long waits in the dressing rooms with various made up games. They were in Awe of the Cape Town City dancers and it was a wonderful experience for them to work with a professional company. Ashleigh managed to get a pic with beautiful ballerina Laura Bosenburg. 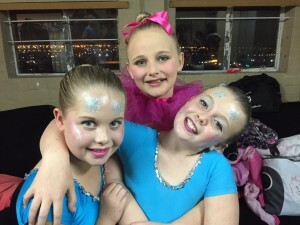 It was also wonderful to see that some of the principle dancers grew up in Port Elizabeth. 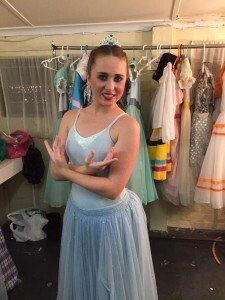 Jessica in her Waltz of the Hours Costume. After the final performance on Sunday, the dancers were all invited to an after party and they had loads of fun running around getting their programs signed by all the stars in the show. All the girls had an absolute ball and we hope to see more of our little ones dancing next time.